Becky Snedeker from Chapter 25 shows volunteers how the assembly line set-up will look and gives instructions on meal packaging at the Friday evening get-acquainted session at First Evangelical Lutheran Church in York. Twenty-one members of the Nebraska Synodical Women’s Organization’s Saved to Serve Opportunity Retreats collaborated with 222 inmates at the Nebraska Correctional Center for Women in York, Nebraska and Chapter 25 (formerly Lincoln/ Kids Against Hunger) on the weekend of Nov. 4-6. The result... 150,200 meals were packaged for victims of Hurricane Matthew in Haiti and islands in the Caribbean. This joint effort was possible only through the generous donations received from Thrivent Financial, churches, individuals and businesses across Nebraska, and the Abbott Foundation of Omaha, which supplied a $15,000 dollar-for-dollar match. The total raised was more than $39,000, which paid for the products used to package the meals. Saved to Serve volunteers and NCCW inmates work side-by-side to assemble more than 150,000 meals. A total of eight lines of 10 women worked four two-hour shifts on Saturday to meet the project goal. Normally, two retreats are held each year with the Women of the Evangelical Lutheran Church of America from across the state of Nebraska serving the church’s agencies. 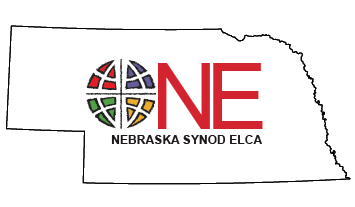 This project was done in conjunction with Nebraska Synod Prison Ministry Director Bob Bryan and former Pastor Bud Christenson from First Evangelical Lutheran Church in York, which acted as the host church. Dee Dee Neil and Becky Snedeker from Chapter 25 and Jay Epp and Sharlene Most from the Nebraska Correctional Center for Women also assisted. Saved to Serve Opportunity co-chairs for the event were Mary Mayfield and Susan Watson. The following ladies attended the event: June Baumgarter, Sharon Bohling, Michelle Brandenburger, Joetta Brandt, Teresa Christiansen, Eleta Eisenhauer, Barbara Fanning, Jane Flores, Jane Gehringer, Jerri Haussle, Margaret Hoffmeyer, Nancy Johnson, Shirley Kehne, Susan Langen, Anne Lieveld, Nicole Montag, Sandy Olson, JoAnn Rohrs and Sandy Terry.